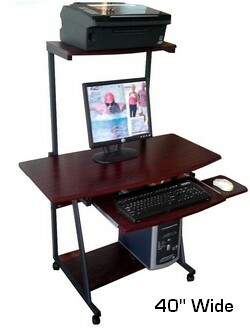 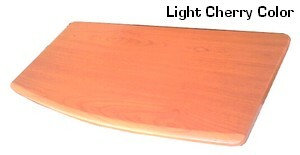 Available in Dark Cherry or Light Cherry (scroll down), this workstation provides an ample writing area with great space efficiency due to its unique 20" depth. 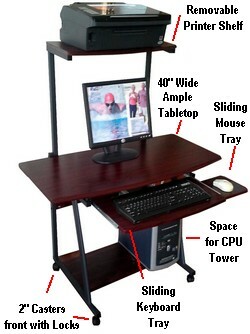 This is a writing desk AND mobile computer desk, all-in-one. 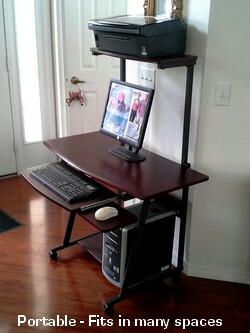 It can hold monitors up to 22" tall. 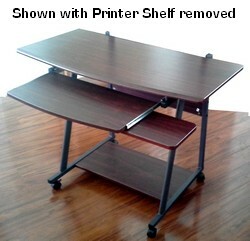 This shelf and its frames are removable. 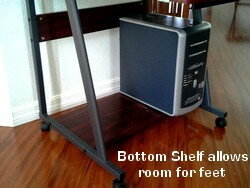 This table includes a bottom shelf for binders, books, subwoofer, etc... Includes 4 casters (front ones with locks). 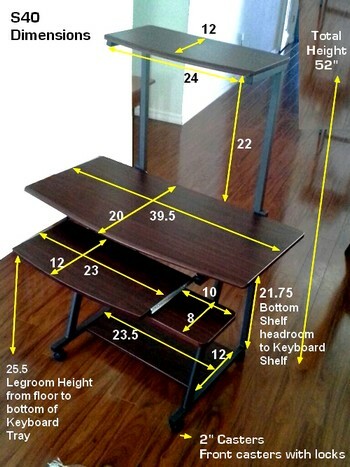 The S-40 is an elegant example of modern computer furniture, which also looks excellent when assembled without the printer shelf.